Acacia Pest Control has many options to assist you in controlling bird issues from Bird Netting, Bird Spikes, Shock Tracks, Avewire System. 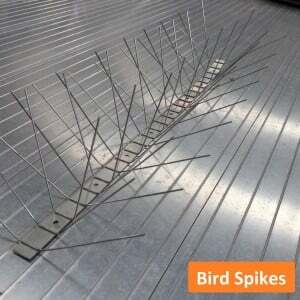 AvePro SuperSpikes are a totally stainless steel bird spike designed for unforgiving Australian conditions. They will deter large pest birds from ledges, parapets, beams, roofs and numerous other architectural features. Examples of birds deterred include pigeons, ibis, crows, ravens and cockatoos to name but a few. 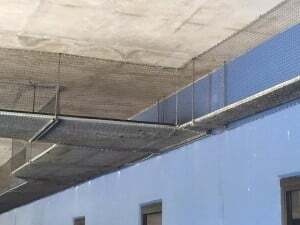 Netting is a professional netting system designed specifically for Australian and New Zealand commercial buildings and industrial applications. 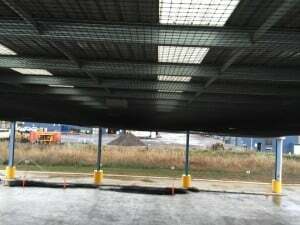 Bird Netting is durable, long Life and low visibility range of nets and different mesh size and net sizes. Product Warranty: Ten years and should perform for many more years. 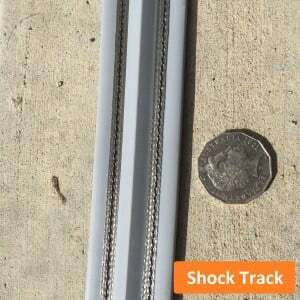 AvePro Shock Track is a professional electrified shock track designed to deter all pest birds from ledges, parapets, beams, roofs and numerous other architectural features. AvePro is a strong deterrent to birds and is the least visible product of all bird deterrent systems. The system has been in use for many years in Australian and New Zealand commercial buildings and industrial applications. 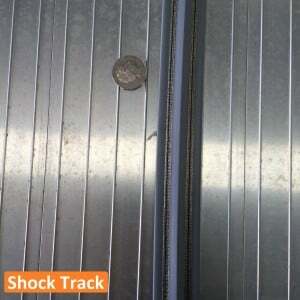 AvePro Shock Track is particularly useful with difficult to manage species such as crows, ravens, cockatoos, Indian mynas and starlings. 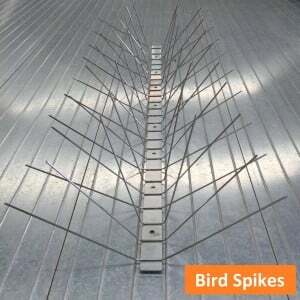 The system is also well suited to pigeons, sparrows, seagulls and other traditional pest birds. AVEPRO Wire System is a discreet, versatile and durable deterrent for pigeons and larger pest birds. The product is ideal for use on exposed roof ridges, window ledges, parapets, pipes and other narrow architectural features. AVEPRO Wire System is manufactured from nylon coated stainless steel wire tensioned by stainless steel springs between stainless steel posts of various configurations.